These were performed by the Revd George Henry Hewison, between 1860 and 1902. Average between 1877 and 1902 when he was cemetery chaplain – 756 a year. Peak year 1882 – 911 burials. These announcement cards were popular in Victorian times. They were quick and cheap to print and bereaved relatives would send them out to friends and family. 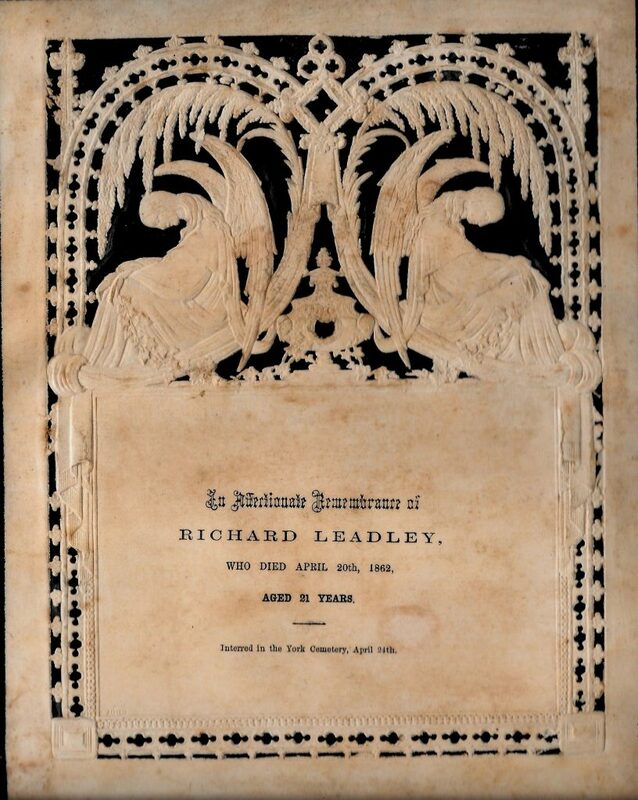 Richard Leadley was a cabinet maker who lived in Brunswick Place, York and died of consumption aged only 21. He was the first one to be buried in the family grave in York Cemetery and now shares his resting place with his mother, two sisters, brother-in-law and infant niece. Just another interesting bit of history from the cemetery.